This was more of a study and less of a make a good painting kind of day. I am still playing around with gouache paint, trying to decide on which I prefer more, watercolor or gouache paints. At this point I feel like I get better results with watercolor paints. 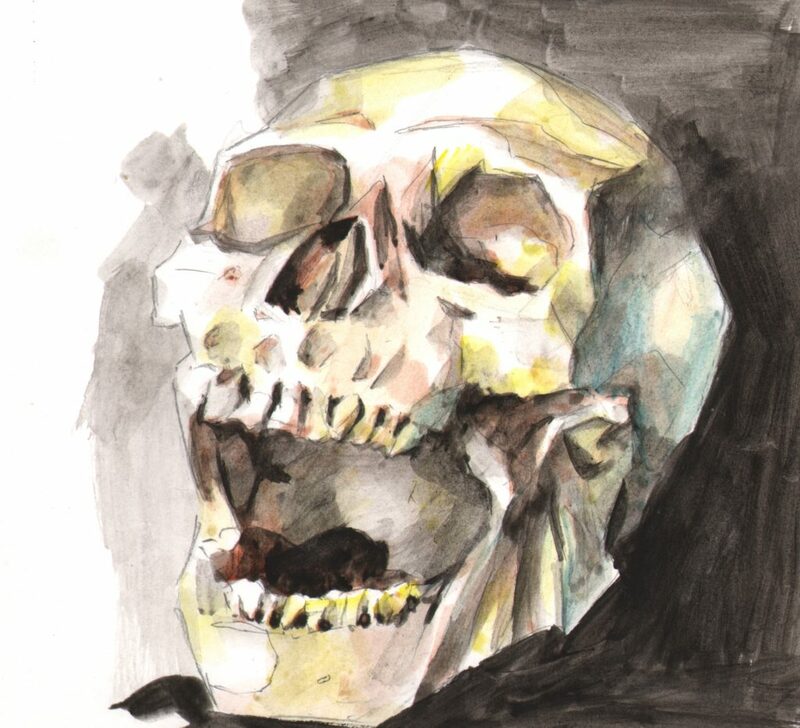 And the reason why I painted a skull today? I was listening to Chris Oatley talk about how a good exercise to do is to draw a skull a day for a while so I thought I would give it a go.